The fact is – from a spiritual perspective, Mr. Trump couldn’t have been elected if there weren’t enough of us on board with his hatefulness and arrogance, to have him elected. Within those who voted against Mr. Trump, the hate energy that we carry yet deny, I believe, carried Mr. Trump into victory. How could it not! PS. We are all a reflection of what we love and what we hate. 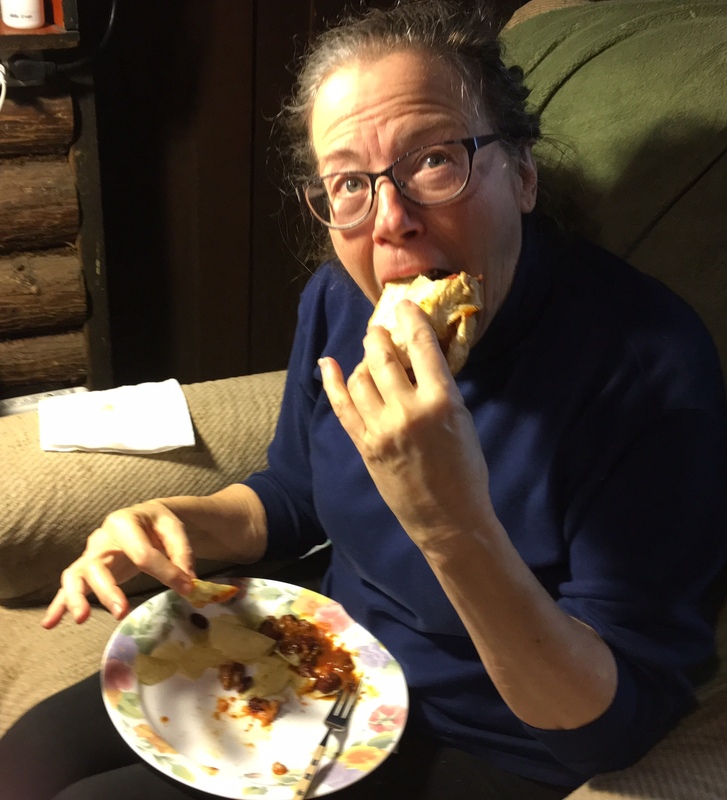 Yes, this is a photo of me as I scarf down a Coney Island Hotdog while watching the Seahawks play the Lions. I actually love this photo, but I used it because Self-hate is a huge epidemic. If self-hate wasn’t so pervasive, I believe we would be willing to out ourselves about our special hate relationships, and truly empower ourselves to live in peace. Do your job Mr. Trump. Expose our special hate relationships so we can freely choose to live peace, not just talk peace. Great article! Hate is a topic we do not discuss often enough. From my own observations, it does seem that many people are bonding over hate these days. Pessimists especially, bond over negativity and hate. I cannot help but wonder how many people are negativity-focused as a result of sheer hopelessness (environment) or a fixed disposition (ontology)? These are trying times, to be sure.